Working in conjunction with Bristol website design and development agency Renderwell, I was asked to design the brand identity for a new initiative ‘Disability at Work’. The client were in the final stages of producing an awareness film highlighting some of the prejudice aspects of disability in the workplace. As well as more common issues of physical disabled access, provisions and facilities, the film would look into some of the prejudices of mental health, work and employment. The brief required the brand identity to be clean and simple, rather than involving an overt icon or graphic, so my initial thoughts were very much typography / logotype based. This would work a lot better in an online presence, and not distract too much from the hero of the site which would be promoting the film itself. 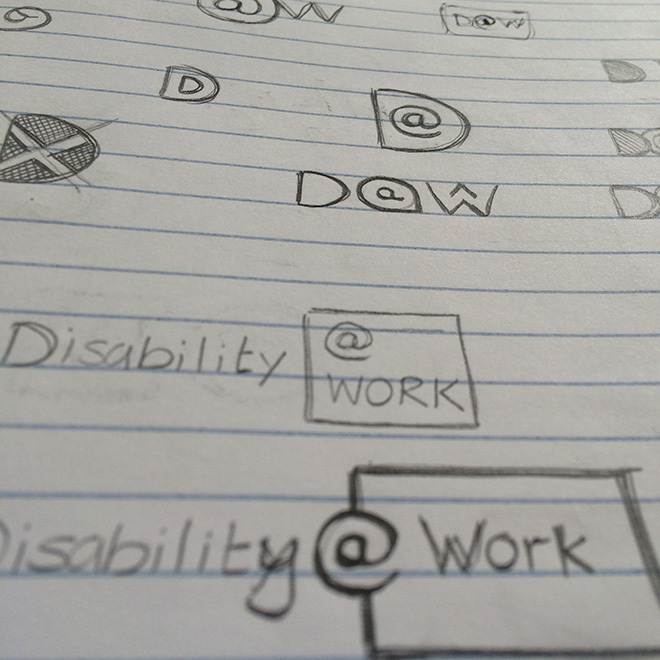 I started off with some simple sketches, working around the idea of trying to physically separate the words ‘disability’ and ‘workplace’, as this is the effect that much of the workplace prejudice ends up having on those people involved. It did, however, still need to work as a coherent identity as well as reading as ‘Disability at Work’. The final identity does this by using the ‘@’ symbol to replace the word ‘at’ and by attaching it to the word ‘Work’. This has the effect of causing some slight physical separation between the two elements, whilst still allowing the identity to read as one. Difference in colour also aids this separation. 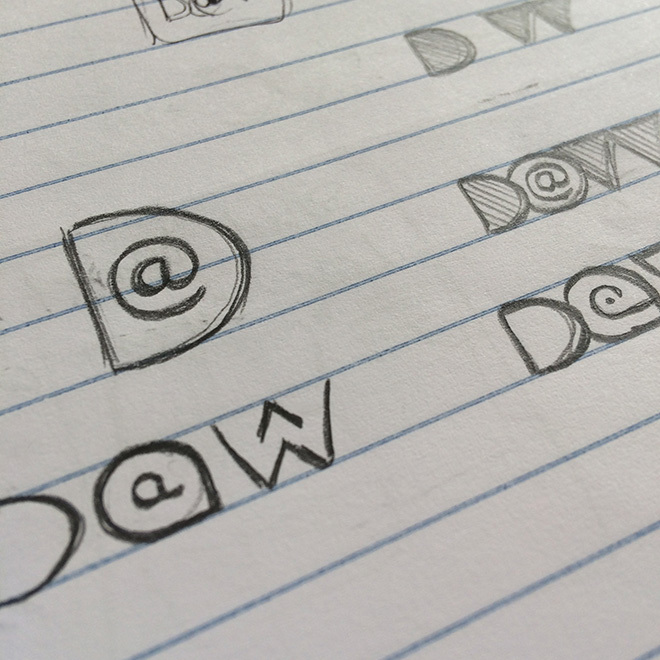 In choosing an appropriate font for the identity, simple legibility was key. One of my favourite fonts, Gotham is beautifully legible, but the standard version is quite square-edged. The rounded version, however, retains this legibility, but in a far friendlier way, to create an identity which is much warmer. Regarding typography on the website, we could use a similarly rounded Google font, such as Varela to maintain this warm typography online. The identity went through a few rounds of colour tests – checking especially that they would pass at least a ‘double A’ rating of colour contrast for web accessibility and legibility. For this purpose, the identity has two variations on the green, one that will be fully legible on a dark background and one that will read well on a lighter, or white background. For social media situations, I designed two small avatars, in both colour-ways, for use as Twitter icons, or for use in other social media situations. The full logo will be used wherever possible, but it’s a good idea to think about a more condensed icon, as the full logo will never work or be legible in this format.